To most English-speakers, the name Renaud may not mean much, but the 62-year-old troubadour was the rap artist of his generation, spitting out lyrics accompanied by guitar and a mouthful of venom that often came with a generous dollop of irreverent humour for over four decades. One of his most talk-about songs in this part of the world was “Miss Maggie” in 1986 – his acerbic lambasting of former British PM Margaret Thatcher and the singer always had a soft spot for Ireland. He wrote a number of songs on the Irish question and his last comeback album in 2009 was entitled “Molly Malone – Balade Irlandaise”. It was a collection of classic Irish ballads translated into French that was produced by former Boomtown Rat Pete Briquette (along with Frenchman Thomas Davidson Noton) and recorded at Windmill Lane Studios in Dublin. The album was a big success in France and went double platinum in under a month, but this marked a blip in a seemingly terminal decline in the career of one the most successful singer-songwriters that France has ever produced. Singer Hugues Aufray is a good friend of Renaud’s and is the latest to voice concern over the physical and mental well-being of a man once noted for his fearsome wit and fearlessness in speaking out on social issues of the day. 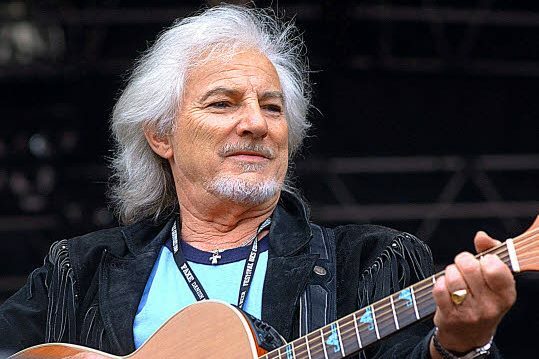 Speaking on RTL radio over the weekend, Aufray said that for Renaud “things were not going well.” The singer/songwriter has been in a state of self-imposed exile at his home in the South of France for some time now and is reported to be struggling with alcohol dependency. He avoids all contact with media and it is only through his son-in-law singer Renan Luce that any scant reports on him enter the public domain. “He said to me: ‘Tell them that I’m doing fine, that I’m in the South, that I’m looking after my vegetable plot, that I’m gathering my truffles… that everything is fine’.” So said Luce in a recent interview. Since the release of the Molly Malone album and his subsequent divorce in 2011 (from Romane Serda – mother of his son who is, incidentally, named Malone), the singer has admitted to not having any inspiration to sing and write.